John Cobb MASSENGALE [Parents] was born on 10 Apr 1843 in , Coosa, Alabama. He died on 26 Feb 1886. He was buried on 28 Feb 1886 in Little River Baptist Church Cemetery, Jones Prairie, Milam, Texas. John married Mollie. Mollie died on 20 Mar 1869. She was buried in Little River Baptist Church Cem, Milam, Texas. 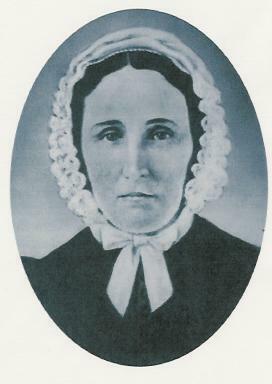 Mollie married John Cobb MASSENGALE. James Columbus MASSENGALE [Parents] was born on 1 Mar 1845 in , Coosa, Alabama. He died on 15 May 1912 in Nolanville, Bell, Texas. He was buried in Pleasant Hill Cemetery, Near Nolanville, Bell, Texas. James married Mary "Mollie" LOVELACE in 1868. Mary "Mollie" LOVELACE was born in 1850 in , , Texas. She died on 20 Mar 1869 in , Burleson, Texas. She was buried in Little River Baptist Church Cemetery, Jones Prairie, Milam, Texas. Mary married James Columbus MASSENGALE in 1868. James Columbus MASSENGALE [Parents] was born on 1 Mar 1845 in , Coosa, Alabama. He died on 15 May 1912 in Nolanville, Bell, Texas. He was buried in Pleasant Hill Cemetery, Near Nolanville, Bell, Texas. James married Mary Adeline "Mollie" PHEGLEY on 20 Mar 1873 in , Burleson, Texas. Mary Adeline "Mollie" PHEGLEY [Parents] was born in Dec 1851 in , Burleson, Texas. She died on 31 Oct 1881 in Nolanville, Bell, Texas. She was buried in Pleasant Hill Cemetery, Near Nolanville, Bell, Texas. Mary married James Columbus MASSENGALE on 20 Mar 1873 in , Burleson, Texas. F i Martha Florence "Mattie" MASSENGALE was born on 25 Mar 1874. She died on 16 Dec 1959. M ii Thomas Paul MASSENGALE was born on 13 Nov 1875. He died on 29 Mar 1951. M iii Albert Rufus MASSENGALE "Sr" was born on 18 Jun 1877. He died in 1960. John P. MASSENGALE was born on 10 Mar 1879 in , Burleson, Texas. He died on 15 Mar 1879 in , Burleson, Texas. Sarah Ann MASSENGALE was born on 5 Apr 1880 in , Burleson, Texas. She died on 12 Apr 1880 in , Burleson, Texas. Alfred Leroy MASSENGALE [Parents] was born on 3 Dec 1846 in , Coosa, Alabama. He died on 8 Sep 1902 in , Milam, Texas. He was buried in Little River Baptist Church Cemetery, Jones Prairie, Milam, Texas. Alfred married Amelia Worthington WILLIAMS on 3 Jan 1877. Amelia Worthington WILLIAMS [Parents] was born on 21 Mar 1842 in , Pickins District, South Carolina. She died on 29 Jun 1924 in , Milam, Texas. She was buried in Little River Baptist Church Cemetery, Jones Prairie, Milam, Texas. Amelia married Alfred Leroy MASSENGALE on 3 Jan 1877. MASSENGALE was born about 1877 in , , Texas. He was buried in Sep 1943 in Little River Baptist Church Cemetery, Jones Prairie, Milam, Texas. F ii Frannie Emma "Birdie" MASSENGALE was born on 2 Nov 1877. She died on 5 Jan 1976. M iii Herbert Williams MASSENGALE "Sr" was born on 29 Dec 1879. He died on 10 Sep 1943. M iv Alfred Lee MASSENGALE was born on 9 Apr 1882. He died on 23 Apr 1945. O. K. DAVIS was born in 1836. O. K. DAVIS married Joanna MASSENGALE. The marriage ended in divorce. Joanna MASSENGALE [Parents] was born on 3 Dec 1848 in , Coosa, Alabama. She was christened in Methodist. She died on 26 Jul 1888 in Jones Prairie, Milam, Texas. She was buried in Harrell Cemetery North of Maysfield, Milam, Texas. Joanna married O. K. DAVIS. The marriage ended in divorce. Joseph "Joe" A. DAVIS was born in Nov 1869 in , , Texas. Robert MC ADORY was born on 6 Nov 1808 in , , Kentucky. He died on 10 Dec 1837 in , , Alabama. Robert married Emily R. MC KINNEY. Emily R. MC KINNEY [Parents] was born on 25 Oct 1814 in , , Alabama. She died on 6 Aug 1861 in , Milam, Texas. She was buried in Little River Baptist Church Cemetery, Milam, Texas. Emily married Robert MC ADORY. F i Celia MC ADORY was born on 9 Nov 1828. She died on 5 Jul 1915. M ii Patrick Jasper MC ADORY was born on 10 Mar 1833. He died on 8 Jan 1910. F iii Mary Jane MC ADORY was born in 1835. She died on 28 Oct 1896. Thomas Herbert "Hub" WILLIAMS "Sr" [Parents] was born on 3 Sep 1844 in Pickens, Pickens, South Carolina. He died on 27 Feb 1890 in , Milam, Texas. He was buried in Little River Baptist Church Cemetery, Jones Prairie, Milam, Texas. Thomas married Emma M. MASSENGALE on 17 Jun 1875. Emma M. MASSENGALE [Parents] was born on 23 Oct 1852 in , Coosa, Alabama. She died on 7 Oct 1898 in , Milam, Texas. She was buried in Little River Baptist Church Cemetery, Jones Prairie, Milam, Texas. Emma married Thomas Herbert "Hub" WILLIAMS "Sr" on 17 Jun 1875. Amelia Worthington WILLIAMS was born on 25 Mar 1876 in , , Texas. She died on 14 Aug 1958 in Austin, Travis, Texas. She was buried in Little River Baptist Church Cemetery, Jones Prairie, Milam, Texas. F ii Harriet Emily "Hattie" WILLIAMS was born on 7 Jun 1878. She died on 23 Sep 1941. F iii South Carolina "Carrie" WILLIAMS was born on 2 Feb 1880. She died on 17 Oct 1949. Thomas Herbert WILLIAMS "Jr" was born on 25 May 1882 in , Milam, Texas. He died on 8 May 1883 in , Milam, Texas. He was buried in Little River Baptist Church Cemetery, Jones Prairie, Milam, Texas. F v Julia Emma WILLIAMS was born on 19 Sep 1883. She died on 21 Jul 1963. Emma Atkinson WILLIAMS was born about 1885 in , , Texas. F vii Virginia Kentucky "Tucky" WILLIAMS was born on 10 Jan 1887. She died on 28 May 1971. Eugene Patrick MC KINNEY [Parents] was born on 18 Apr 1869 in , Coosa, Alabama. He died on 30 Jul 1926 in Breckenridge, Stephens, Texas. Eugene married Mary Deborah "Mollie" MASSENGALE in Aug 1898. Mary Deborah "Mollie" MASSENGALE [Parents] was born on 29 Jun 1868 in , Milam, Texas. Mary married Eugene Patrick MC KINNEY in Aug 1898. William MC KINNEY "Sr" was born on 12 Oct 1836 in , Coosa, Alabama. He died on 26 Oct 1909 in Stamford, Jones/Haskell, Texas. William married Virginia "Jennie" MAXWELL. Virginia "Jennie" MAXWELL [Parents] was born on 18 Jan 1941 in , Talbot, Georgia. She died on 4 Dec 1892 in , Tallapoosa, Alabama. Virginia married William MC KINNEY "Sr". M i Eugene Patrick MC KINNEY was born on 18 Apr 1869. He died on 30 Jul 1926. Patrick Jasper MC ADORY [Parents] was born on 10 Mar 1833 in Birmingham, Jefferson, Alabama. He died on 8 Jan 1910 in , , Alabama. Patrick married Nancy Eliza SADDLER. Nancy Eliza SADDLER was born on 16 Sep 1840 in , , Alabama. Nancy married Patrick Jasper MC ADORY.